You are already familiar with the Hilton name and reputation for fine, affordable hotels; rest assured that your stay at the Hilton Mauritius would undoubtedly meet your expectations. 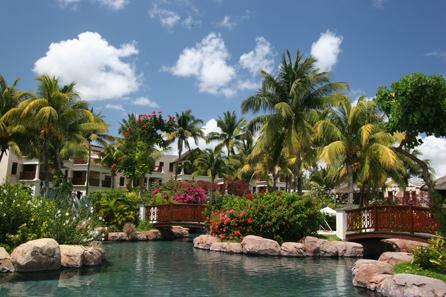 This award-winning hotel is situated in the beautiful Flic-en-Flac region on the island's west-central coast. Guests are free to relax in the outdoor whirlpool, enjoy a full compendium of water sports, wander along the many garden paths, or take full advantage of the luxurious Enso Spa. It is all about relaxation and rejuvenation at Hilton Mauritius. 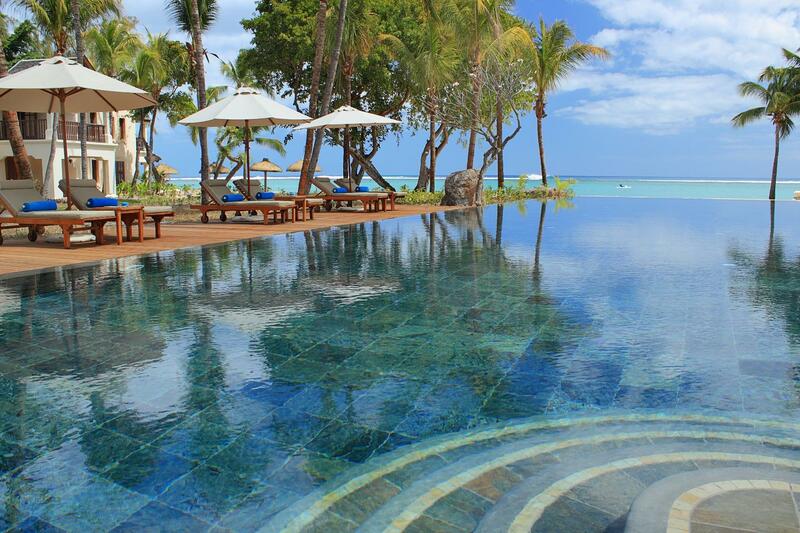 Hilton Mauritius Resort & Spa features 193 rooms and suites recently refurbished (in 2014). Guest Rooms are the lower level of accommodation, offering 43-m² of comfortable living space, beautifully appointed with modern furnishings blended in an Asian/Mauritian atmosphere. Each of the Guest Rooms features its own balcony or terrace, comfortable bed and armchair, desk, free Wi-Fi access, and an incredible view. Guests can choose from among standard King, King Grande, or Twin Deluxe bed options. The hotel offers five different luxury suite options intended to be your home away from home. Each of the suites offers separate living and sleeping areas along with extra-large windows that guarantee spectacular views, comfortable furnishings, plush bathrobes, fresh fruit, free Wi-Fi access, marble bathrooms with separate shower, work desk, and more. •La Pomme d'Amour – The hotel's main restaurant is La Pomme d'Amour, a smart casual restaurant open for breakfast and dinner. Breakfast is served from 7am until 10.30am; dinner is served from 6.30pm until 10pm. La Pomme d'Amour features a traditional American breakfast and an international buffet for dinner; the buffet includes a full variety of choices with a decidedly Creole influence. 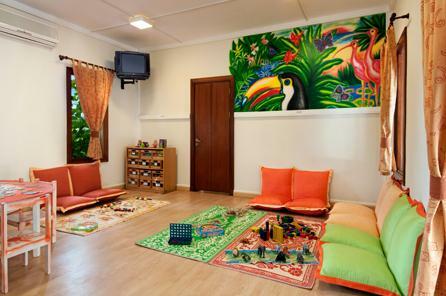 The atmosphere is lively, warm, and welcoming. •Ginger Thai – If you appreciate the spicy deliciousness of Northern Thai cuisine you will love the Ginger Thai restaurant. This unique restaurant combines Thai cuisine with a warm ambience of traditional wood to create a truly unique atmosphere for you and your party. This smart casual restaurant is open Tuesday through Sunday, from 7pm until 10pm. 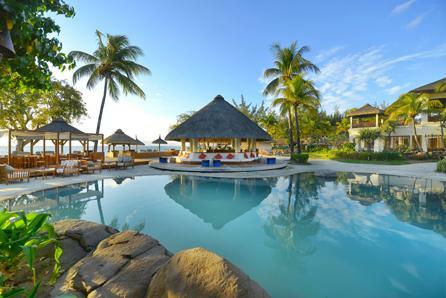 • Les Coquillages – Dining on the beach is what Les Coquillages offers Hilton Mauritius guests. The restaurant is open for lunch and dinner Monday through Saturday, offering guests a relaxed atmosphere and à la carte menus featuring a variety of sandwiches, salads, international seafood, pastas, and local Mauritian dishes. 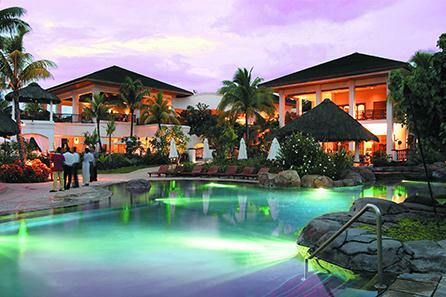 • Bars – Hilton Mauritius' three bars are the Aqua, Hibiscus, and Vista bars. The Aqua is situated between the beach and the pool, providing the perfect atmosphere for afternoon cocktails with friends. The Hibiscus is right next to the hotel's infinity pool; it offers guests the resort's Signature cocktails and stunning views. Finally, the Vista is the hotel's only interior bar. 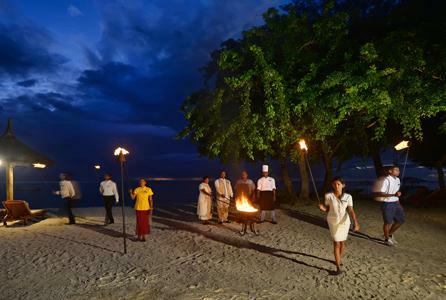 It offers a daily Happy Hour and beautiful views of the Indian Ocean at sunset.